Confused about the cloud? You're in the right place! In this first lesson, we'll clear up some confusion and start with the basics. I'll explain the building blocks of the cloud, and that will lead us to a durable definition of the cloud that you'll use as a foundation for the rest of the course. We'll also discuss what the cloud means to you, its impact on your life, and why it'll be helpful for you to understand how it works. So how did the cloud get started? In this lesson, you'll learn the history of the cloud and how it was a natural evolution of networked computers and Internet connectivity. We'll also discuss why the cloud is so important, and we'll look at the business challenges and opportunities that the cloud addresses. By the end of this lesson, you'll have a solid understanding of how we got to where we are and how business computing operated before the cloud. Ever wonder why some people believe the cloud is simple, while others believe it's complex? In this lesson, you'll learn why they're both right—and you'll learn how to think about the cloud from two perspectives. We'll also discuss the different types of clouds: public, private, and hybrid. And you'll get a glimpse inside the big business technology world and find out why the cloud can be such a compelling move for large organizations. What's the difference between the cloud and a collection of computers? A bunch—and much of that comes down to virtualization. In this lesson, you'll learn what virtualization is and why it's so fundamental in how the cloud operates. We'll also discuss scale and how it relates to virtualization. Finally, you'll see how endpoints make all the connections work. Let's get started! If you'll recall, services is one of the five building blocks in our definition of the cloud. In this lesson, we'll look at those services. Specifically, we'll discuss three categories of cloud services: infrastructure (or Infrastructure as a Service, or IaaS), platforms (or Platform as a Service, or PaaS), and software (or Software as a Service, or SaaS). We'll discuss how these three categories compare and individuals and business can take advantage of them. All the computing power of the cloud needs to live somewhere, and it's not in the atmosphere. In this lesson, you'll learn all about data centers—how they operate, what they look like, where they're located, and what makes them tick. You'll also learn what makes one data center more efficient than another, and you'll get perspective on what it costs to make them operate. It's a fascinating tour, with a lot to learn and even more to explore, so let's jump in! 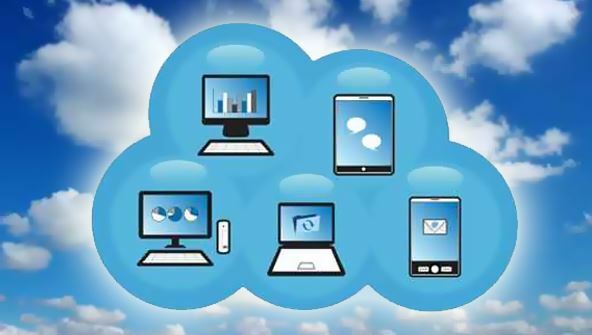 Our experience in the cloud includes the storing and transmission of data, either across the hall or across the world. In this lesson, you'll understand how to think about data in terms of its importance in the cloud, and you'll also learn why we often leave worrying about data to someone else. We'll discuss how all the data in the cloud moves across continents, across the ocean, and over airwaves. And we'll also look at a clear definition of big data in this lesson, as well as examples of where big data may be headed. Making sense of how cloud providers offer their services is an important step in truly understanding the cloud. In this lesson, you'll see how a well-established cloud provider organizes and presents its offerings. We'll go through each group of the cloud provider's offered services, and we'll map them to what you've already learned about the cloud and the categories you're familiar with. In this lesson, you'll learn where websites fit into the cloud and what other elements, offerings, or activities are driving the adoption and popularity of the cloud and its varied services. We'll also discuss what it means to be a big provider, and we'll examine the largest platforms—and largest overall service providers—that are in the cloud today. Learn about what goes into creating a cloud app, and how the three (plus one) ecosystems dominate the world of cloud applications. In this lesson, you also learn about the different types of devices, how they are categorized, and how they align to the types of cloud apps that are available. You'll also learn about ecosystems, and why they define how cloud apps are created, distributed, and sold. Today we're going to look at how social network sites like Facebook, LinkedIn, and Twitter work in the cloud and how users and organizations can create apps that connect with their huge base of users. You'll learn how social media sites let software developers interact with their sites, create apps and games that operate within and outside their sites, and why they do this. Also, you'll learn about social media tools on Facebook and in Twitter, including why the hashtag was created (#), how it's used, and how to use these sites yourself. This lesson ties together everything you've learned in this course. You'll learn how we can view the cloud from two primary perspectives—consumer and business—and we'll distill the primary benefits (and drivers) that have propelled cloud adoption from participants of both perspectives. We'll also discuss where these two perspectives share a common, clear force that continues to be the biggest benefit of the cloud. And finally, we'll look into the future of what the cloud may hold and what that future might mean for each of us.